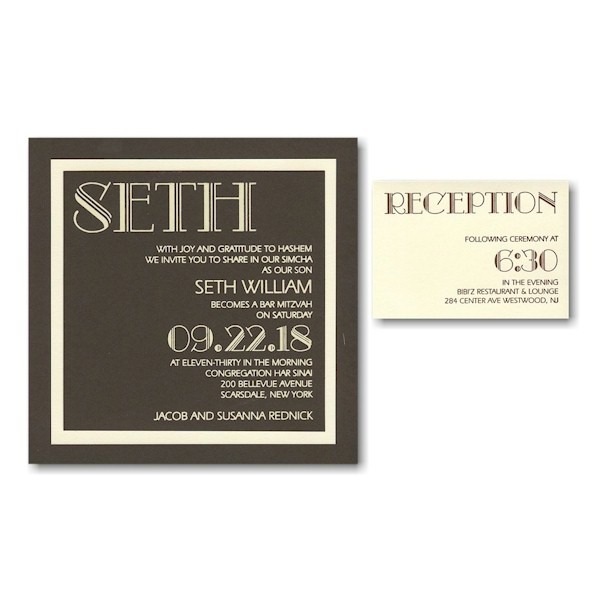 This handsome Bar Mitzvah invitation is foil stamped on Chocolate Vellum card stock layered over Ecru Vellum middle and Chocolate Vellum bottom layers. This handsome Bar Mitzvah invitation is foil stamped on Chocolate Vellum card stock layered over Ecru Vellum middle and Chocolate Vellum bottom layers. The Bar Mitzvah’s name appears in the upper left in jumbo letters and the wording details will print flush right as shown. Measures 7″ square. Shown with Ivory Matte foil stamping and lettering styles Chic (name and date) and Eras (balance of copy). 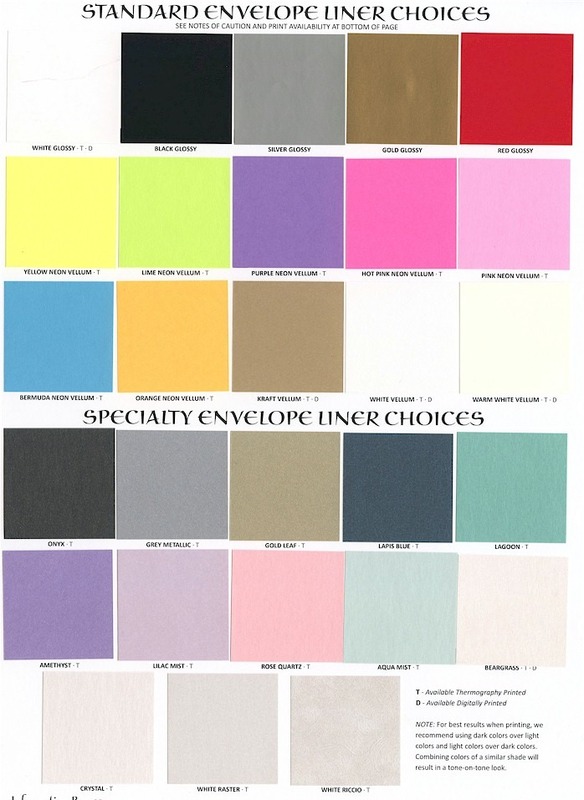 The Reception and Response enclosures will be foil stamped on Ecru card stock and the Informal Thank You notes will print on Ecru folder stock. 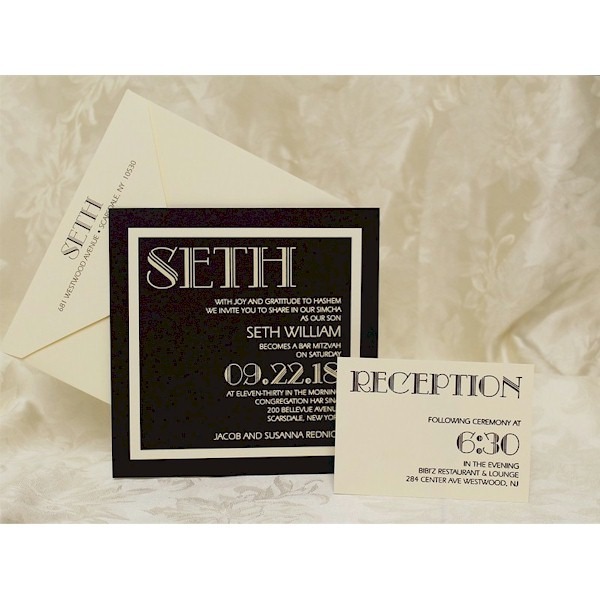 This Bar Mitzvah invitation comes with double ecru envelopes. Please note: Due to the square shape of this invitation, additional postage is required. Consult your local post office for details prior to mailing.